Recognizing cutting-edge leadership in environmentally friendly business practices and green technology, from renewable energy and water conservation to zero-waste systems and carbon-emission reduction. 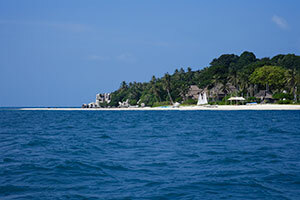 Located off the coast of Singapore in nearby Indonesia, Nikoi Island resort operates on less than one quarter of the energy consumption considered "excellent" by the sustainable standards of the International Tourism Partnership for hotels operating in the tropics, while utilizing solar power and maximizing sustainable design including natural ventilation. 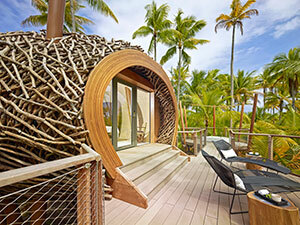 Their 15 rooms are constructed of reclaimed driftwood, bamboo, and local grass. Water conservation initiatives include collection of rainwater to reduce impact on groundwater resources. Waste reduction efforts involve producing many of its own food products and providing bottled water in reusable glass containers, while incorporating education for both guests and the community on environmentally friendly practices. 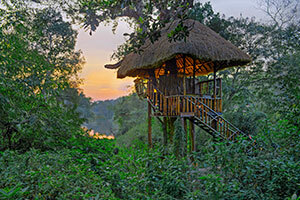 Orange County provides in depth nature and culture experiences for guests at its two resorts in Coorg and Kabini, located in high biodiversity areas of Karnataka, India. In collaboration with local communities and government municipalities, Orange County engages in sustainable development practices and education, including elimination of plastics, recycling of glass and metals, and alternative energy. Water conservation is promoted through the use of reverse osmosis plants at each hotel, which provide safe drinking water and the elimination of 150,000 plastic bottles annually. In addition, wind power generation on site supplies the majority of electricity, with onsite green teams closely monitoring all energy, water, and waste impacts. Located just off of the island of Tahiti on Tetiaroa atoll in French Polynesia, Pacific Beachcomber Resorts worked to bring to life the late actor and conservationist Marlon Brando's dream to create a luxury eco-resort that would also serve as a global scientific marine research center and a model for innovative green technologies. In collaboration with local conservation organizations, including te mana o te moana, The Brando is also working to protect Polynesian cultural and natural heritage for future generations. In order to minimize environmental impacts, The Brando has implemented sustainability strategies including deep ocean sea water air conditioning, solar power, a local coconut oil (biofuel) generator, and an advanced reed bed waste water treatment system, among other initiatives. Recognizing excellence in enhancing sense of place and authenticity, including support for the protection of historical monuments, archaeological sites, cultural events, indigenous heritage and artistic traditions. 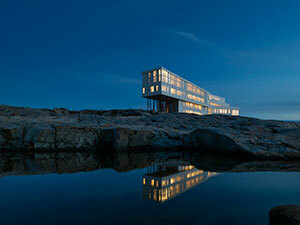 Designed to celebrate the rural heritage of this remote island off the northeast coast of Newfoundland, the creation of Fogo Island Inn included a collaborative partnership between local residents and a host of international artists, designers, and architects working together to capture the island's unique cultural heritage. The Inn works in close collaboration with the non-profit Shorefast Foundation to invest in the local community, ensuring an ongoing relationship between the Inn and local residents. During their stay, guests team up with "community hosts" who take them around the island to experience the local way of life, from participating in traditional sing-a-longs to learning about handcrafted boat building. 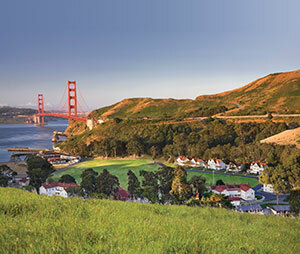 Following the transformation of Fort Baker from military outpost to national park in 2002, the owners of Cavallo Point transformed the military barracks into a thriving LEED Gold-certified sustainable tourism lodge, restoring 24 formerly dilapidated historic buildings to their original design in the process. By reusing the former building materials, maintaining 100% of the exterior design, and 75% of the interior walls and floors, Cavallo Point preserved and protected the original barrack rooms. The revival of Fort Baker through Cavallo Point has preserved the park as an important part of San Francisco's heritage next to the iconic Golden Gate Bridge. Gwaii Haanas, meaning "Islands of Beauty" in the indigenous Haida Language, is a partnership between the Haida people of British Colombia and Parks Canada to manage a national park reserve located on the southern end of the Haida Gwaii Archipelago. Initiatives include collaborating together with archeologists to inventory 500 indigenous settlement sites dating back 12,000 years, working with elders to record Haida place names and oral histories, and protecting other cultural traditions such as the carving of totem poles. 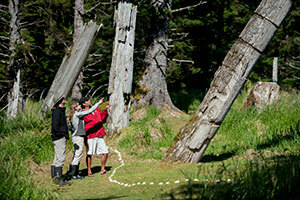 A unique Watchmen program allows Haida residents to live at cultural sites and carry out traditional activities, while providing an enriching and authentic travel experience for visitors. Recognizing outstanding support for the preservation of nature, restoring natural habitat and protecting rare and endangered species, whether on land or in the oceans. andBeyond is an experiential travel company focused on conservation and research efforts in the wildlife areas of Africa and India where its 33 lodges are located. 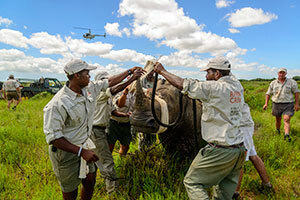 In partnership with conservation organizations and tourism groups, andBeyond has successfully translocated White Rhinos from its Phinda Private Game Reserve in South Africa to the Okavango Delta in Botswana as part of the Rhinos Without Borders initiative, a program to help protect this critically endangered species. They have also played a pivotal role in protecting Zanzibar's coral reefs with their establishment of the Mnemba Island Marine Conservation area. 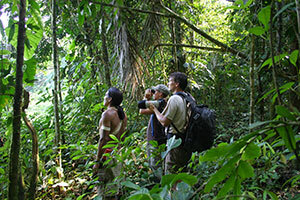 The company mission is based upon the protection and restoration of threatened wilderness areas wherever they operate. The Conservation Ecology Centre, based in Cape Otway, Australia, is a non-profit organization working in partnership with the Great Ocean Ecolodge to further local conservation efforts through ongoing research and habitat restoration. Their projects include the creation of a wildlife corridor through the purchase and restoration of degraded land, and the planting of more than 80,000 trees as part of their Koala conservation program. 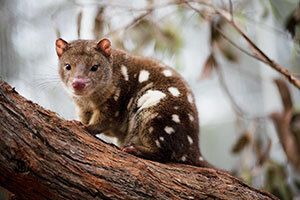 An innovative research program utilizes trained dogs and community volunteers to collect field data critical to conservation efforts for the endangered Tiger Quoll, Australia's largest carnivorous marsupial species. The Conservation Ecology Centre also provides conservation-through-tourism educational programs to visitors and local community members. 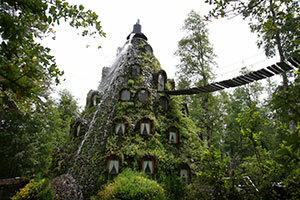 Situated in the Andean Patagonian Rainforest in Chile, the Huilo Huilo Biological Reserve, a private sector conservation and community development initiative, is working to protect the rich biodiversity endemic to the region. In the past 10 years, Huilo Huilo has protected more than 247,000 acres of land once threatened by the timber industry, and transformed it through the implementation of research, education, and conservation into a model of sustainable tourism. In particular, Huilo Huilo is working on an ongoing project to reintroduce the Huemel, an endangered species of Andean deer. They are also working on several other conservation and research efforts, including the reintroduction of Guanacos and the Darwin Frog Conservation Program. Recognizing direct and tangible economic and social benefits that improve local livelihoods, including training and capacity building, fair wages and benefits, community development, health care and education. Located in the Dana Biosphere Reserve, Feynan has served as a model for sustainable development in the Middle East region by incorporating the local community as direct economic beneficiaries through responsible tourism, ensuring that their cultural heritage is preserved. All staff at Feynan are from rural Bedouin communities who have been trained in hospitality management, with ongoing training and capacity building providing opportunities to learn English and computer skills. Transportation is also provided entirely by local Bedouins, and 80% of the lodge supplies come from nearby communities to advance local economic benefits. 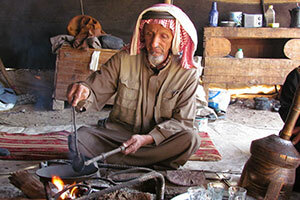 The Feynan guest experience provides a unique opportunity to learn about authentic Bedouin culture and participate in local Bedouin traditions. Situated on Nicaragua's Emerald Coast, Mukul worked closely with local villagers even before opening its doors to travelers in 2013 to provide ongoing education, training and capacity building to improve local livelihoods. In addition to providing training and employment for nearly 500 local residents at the resort, Mukul has also supported locally-owned business development, with the number of boutiques and restaurants in the nearby village of Gigante increasing from five to 30 in the past three years. Mukul is also partnering with NicaAgua, a not-for-profit organization that provides ceramic water filters to local households to reduce waterborne illness and provide clean drinking water for area residents. Founded in 1994, Tropic Journeys specializes in helping local communities establish ecotourism as a means to preserve their local culture and make a sustainable economic living. A pioneer in community-based tourism in Ecuador, Tropic Journeys started working in the Ecuadorean Amazon with the indigenous Huaorani people two decades ago. Today, the Huaorani Ecolodge is run by 80 Huaorani employees who set their own wages and manage the day to day business, sharing the skills they have learned with other Huaorani community members. 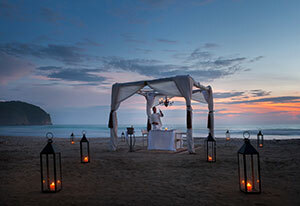 Tropic Journeys is now continuing their successful community-based tourism model on Floreana Island in the Galapagos. Recognizing destination leadership, including cities, provinces, states, countries and regions that are demonstrating environmental best practices, protection of cultural and natural heritage, benefits to local communities and educating travelers on the principles of sustainability. Thanks to the work of the Aruba Tourism Authority, including their early participation in the Carbon War Room (CWR), Aruba is demonstrating what is possible in the global fight against climate change. 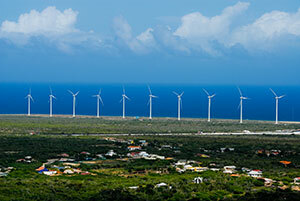 With plentiful solar and wind resources, Aruba has invested heavily in renewable energy and is working towards the goal of becoming the world's first fossil fuel-free country by 2020. As part of this effort, Aruba Tourism Authority has also worked with business owners to create "walkable destinations" by adapting their "smart growth" model and reducing reliance on automobiles. Six other Islands in the Caribbean have now adapted the "Aruba Model" to propel their own transitions towards becoming more sustainable destinations. The nearly century-old Delaware North Companies operate one of the largest concession projects in the U.S. National Park System in Yosemite. 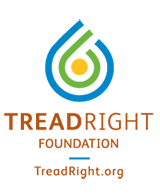 DNC provides visitors with lodging, food and beverage services, and a host of recreational activities such as backcountry skiing, horseback riding, rock climbing, and rafting, all while adhering to ecotourism practices. DNC's GreenPath program, an environmental management system, is designed to ensure sustainability through five key indicators, which include environmental management, interpretation/ education, facilities and asset management, and healthy food/healthy living. 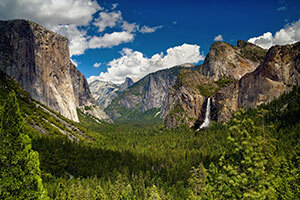 In addition, DNC at Yosemite has established an on-site "Green Team" dedicated to training staff on environmentally friendly operations and visitor education. Formed as a public-private partnership between the government and local Aranese businesses, Foment Torisme Val d'Aran is responsible for promoting sustainable tourism in this central Pyrenees Mountain region in Catalonia, Spain. 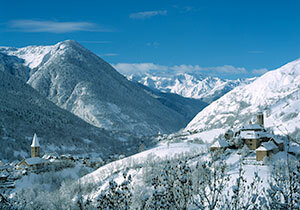 A popular winter and summer vacation destination, Val d'Aran focuses on protecting its rich cultural and natural heritage by working with villagers to safeguard their local language, Aranese, which has been in decline, along with other important traditions. In addition to encouraging visitors to learn about the biodiversity conservation in the region, Val d'Aran works with wildlife researchers to protect indigenous species, including an ongoing European Brown Bear Recuperation Project and the reintroduction of the endangered Hazel Grouse. 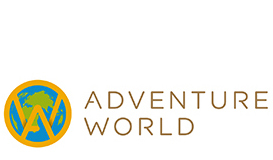 National Geographic is pleased to partner with ITB Berlin. The world's leading travel trade show, ITB Berlin hosts the largest annual gathering of travel and tourism businesses, with nearly 200,000 delegates in attendance. Ecuador is a land of snow-capped volcanoes crowning the Andes Mountains, exuberant wildlife amid the forests of the Amazon, miles of sunny Pacific Coast beaches, and extraordinary species roaming the fabled Galápagos Islands. All you need is one place: a country with four worlds right in the middle of the planet-biodiverse, compact, and magical.